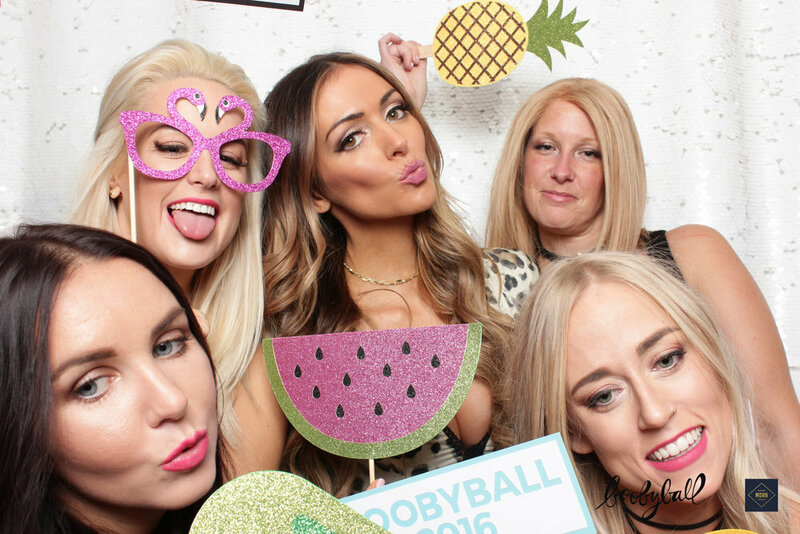 We had the amazing opportunity to be a bronze sponsor for The Boobyball last month where over $70,000 was raised in support of Rethink Breast Cancer. The theme of the night was Paradise City and it was all-kinds-of-incredible. 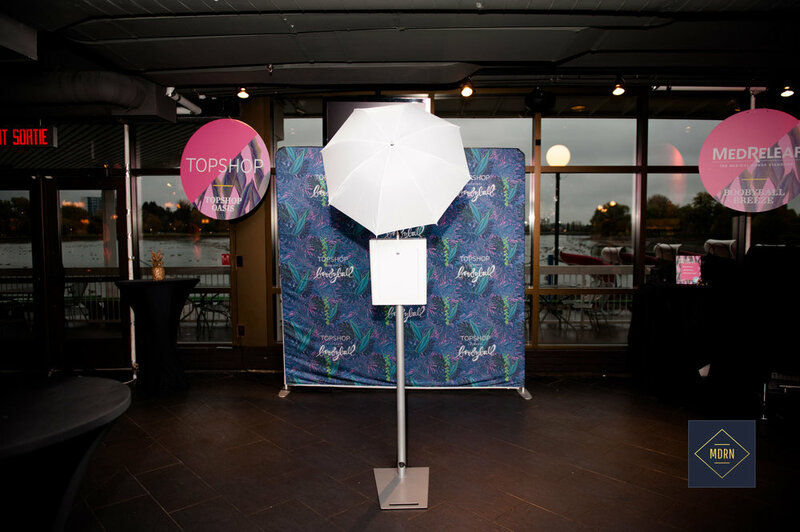 We provided a completely customized photo booth with tropical and electric props and backdrops. Hundreds of people descended in Ottawa to embrace their inner wild to make the night a sweet success. Every time we are a part of any event, we see the power that happens in bringing people together whether it is corporate, a wedding or for charity. But even beyond that, we see this amazing thing with our photo booths where people get out of their seats, make connections with each other and have a hilarious time. 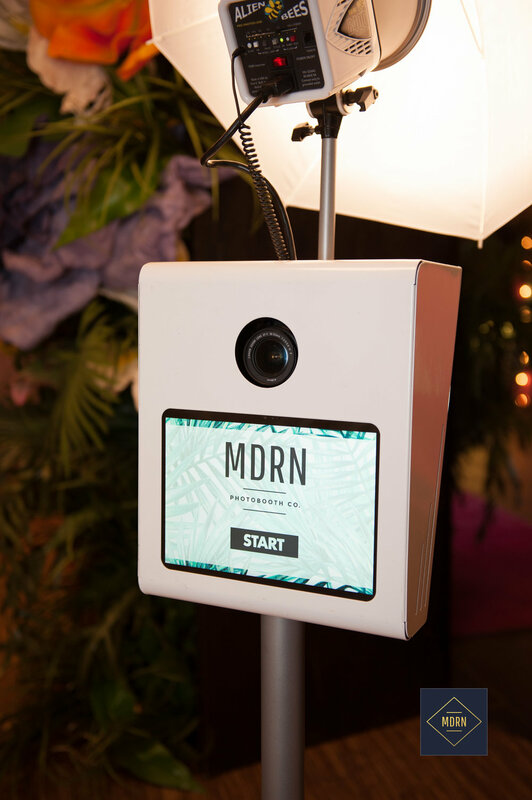 We’re dropping in to let you know about three ways we’ve seen photo booths bring people together at events of all kinds. 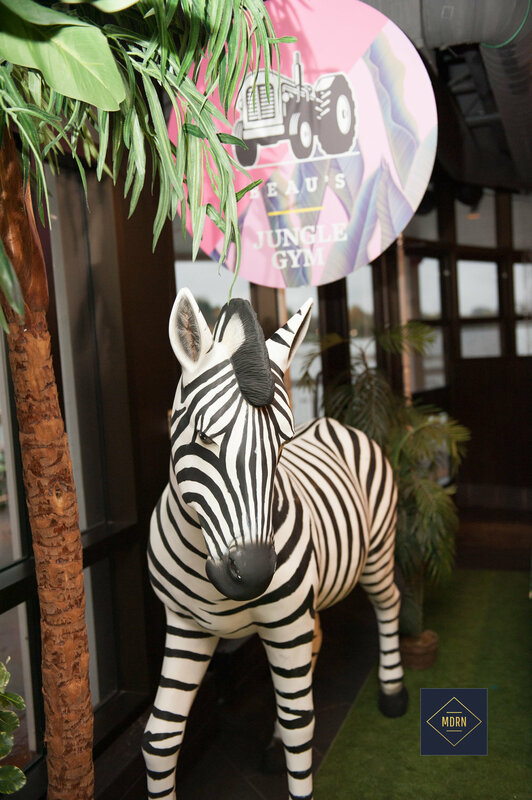 There is something about quirky, witty and creative props that simply makes people come alive at an event. Rushing up to a photo booth with their friends, their personality spills out over their poses and expressions with one another. New friends even find one another sometimes and make a memory. I am sure you’ve experienced this thing called the ‘friend wave.’ You know where your friend is doing something and they want you to join so they enthusiastically wave you over? That creates instant connection whether you’re being waved over by an old friend, a new one, your family or your special someone for a midnight kiss. Souvenirs are the best. I mean, that’s why there are entire shops dedicated to them. Whether using our social media sharing station, prints or using the online gallery, the moment is captured and gets to be held onto forever and ever. Nothing brings people together faster than taking a picture together and getting to hold onto it instantly or share it quickly. For your next event, think about how you can use a photo booth to bring your people together. And if you’ve got questions, we’ve got you, simply get in touch. Check out some more pics of the event!